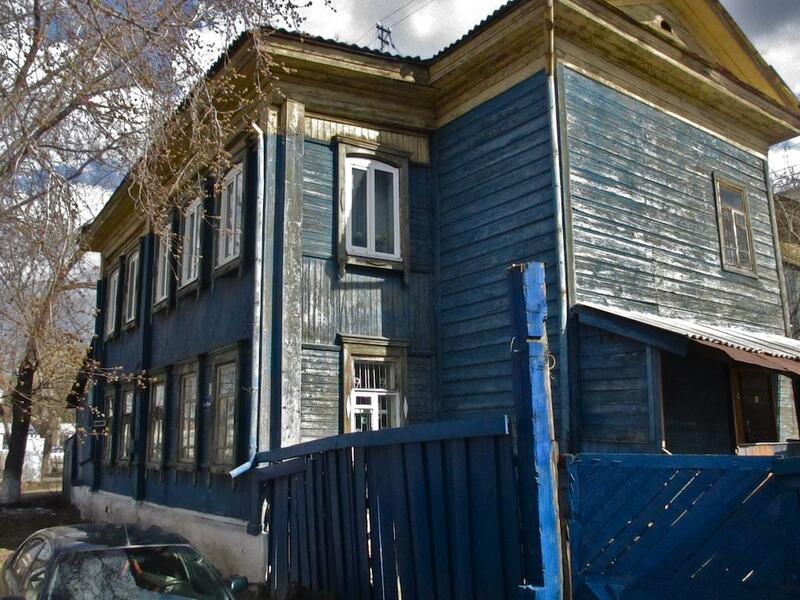 This structure in Tomsk hardly stands out from any others. 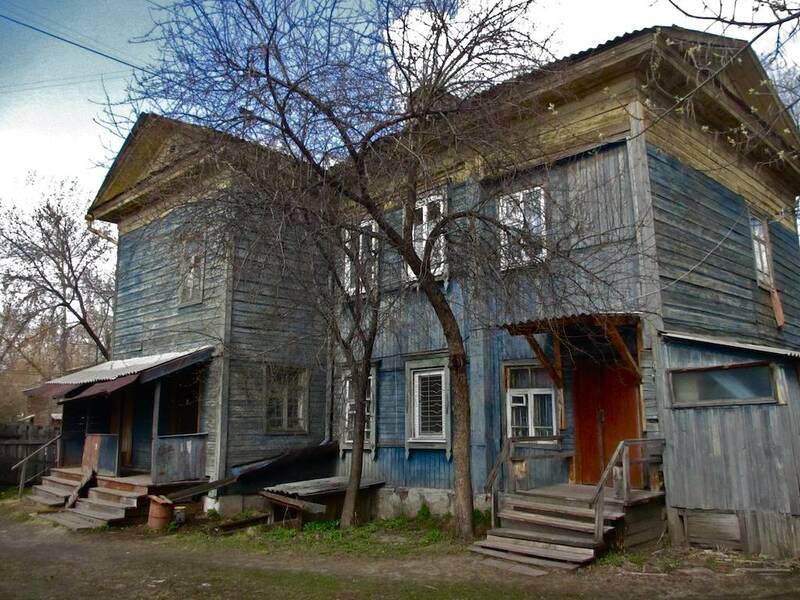 Although there are often unsolvable problems connected to the preservation of old wooden homes, the people of this great city are doing better than most at holding back the inexorable movement of time and destruction. 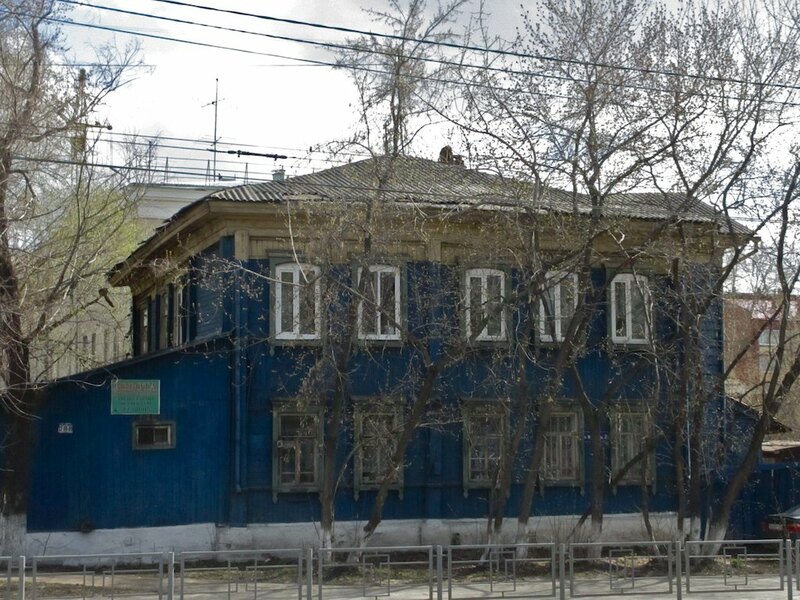 As such, nobody would bother to stop and think about this slightly run-down, not particularly decorative old building on what used to be the outskirts of Tomsk. Thanks to a great guidebook, however (Tomsk. 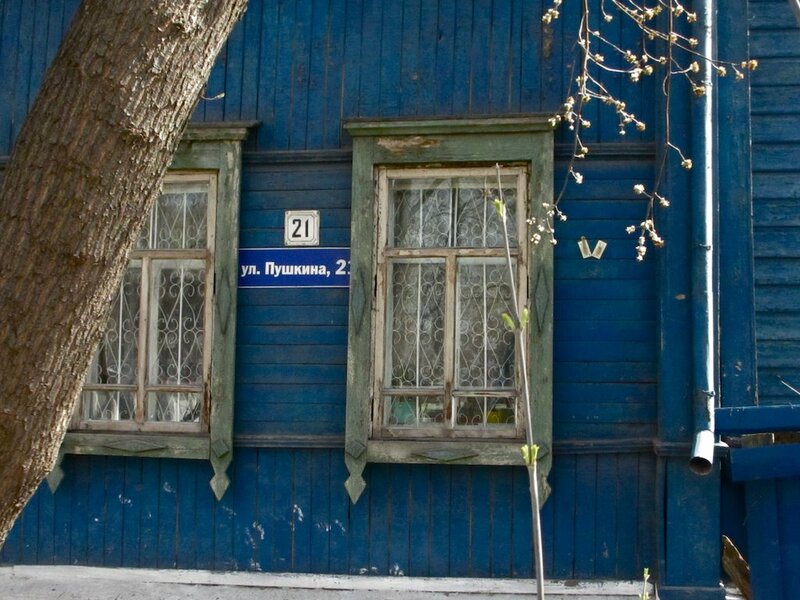 Illyustrirovannny putevoditel’ daidzhest), I know that the Russian critic, philosopher, economist, novelist and socio-political activist Nikolai Chernyshevsky happened to spend approximately 90 minutes in this abode in 1864. Why just 90 minutes? Because he was being transferred from European Russia to a 19-year exile in Siberia, and Tomsk was one of the most important stops on that route. 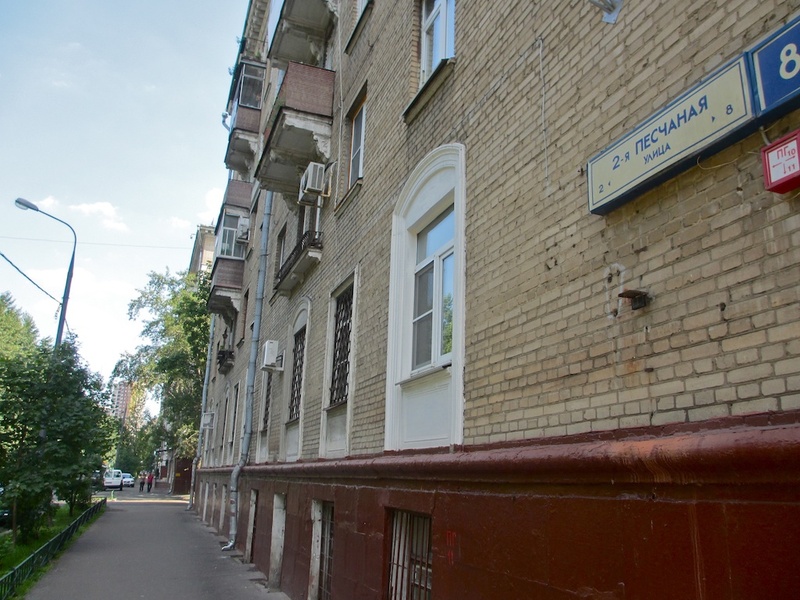 This building, now bearing the address of 21 Pushkin Street, was the old post station where travelers – prisoners included – would stop (or be stopped) briefly for whatever reasons necessary. I don’t know this for a fact, but I can imagine that this was a check-in place where those entrusted to accompanying an important political prisoner would file a report stating they had completed one leg of their journey and were ready to embark on the next. Chernyshevsky now occupies a rather odd place in Russian literary history. He was one of Lenin’s favorite writers and his utopian novel What Is to Be Done? was a major influence on that political thinker and activist. I read the novel (in English) way back when I was still educating myself in Russian literature independently; before I went back to school and then grad school to do it with all the proper instruction and diplomas and all. I must say that after reading Tolstoy, Dostoevsky, Gogol, Chekhov, Turgenev and others, I was not particularly impressed when I found my way to What Is to Be Done? It’s a pretty sad book, actually. I think I can probably list this as the first Russian novel I read and did not like. Until then it had been for me something of a magic carpet ride. Like many novels written by philosopher-political activists, What Is to Be Done? is written with a specific purpose, to make political points and to further a specific point of view (in this case, a liberal, even radical one of freedom). As much as one may want to applaud the author for his viewpoints, the stiff, wooden nature of the novel doesn’t allow the applause to last long. And then there’s the stigma of Lenin having called this one of the most important works of the Russian 19th century… Be that as it may, here is what Francis B. Randall has to say about Chernyshevsky in the biographical entry in Victor Terras’s excellent Handbook of Russian Literature: “More than anyone, [Chernyshevsky] formulated the ideals and aims of the young radicals, summoned ‘the generation of the 1860s’ into existence, and simultaneously expressed their drives and led them further until his lasting exile to Siberia in 1864.” Thus this blue building bears witness to that moment in time when Chernyshevsky’s significant influence changed from an active force to one that worked on a historical level. Below is a shot of the building taken from the courtyard, perhaps where the convoy’s horses and carriages or whatever would have pulled up with Chernyshevsky in tow. Maybe he even went up one of those sets of steps and through one of those doors. We’ll never know now. This building bears no markings of the small historical event that occurred here. When the Dostoevskaya metro station opened on the gray line a couple of years ago – it’s located right next to the Russian Army Theater and a hop-skip-and-jump from the fabulous Ten’ (Shadow) Theater – it raised a veritable ruckus. Oh, there was all kinds of nonsense about how it was going to scare metro riders away, how it was going to create murderers with its portrait of Raskolnikov, and how it was going to foster suicide by encouraging young people to throw themselves on the tracks as trains were coming in. You get the picture. The typical damned nonsense that people write and say and think and propagate this crazy day and age. 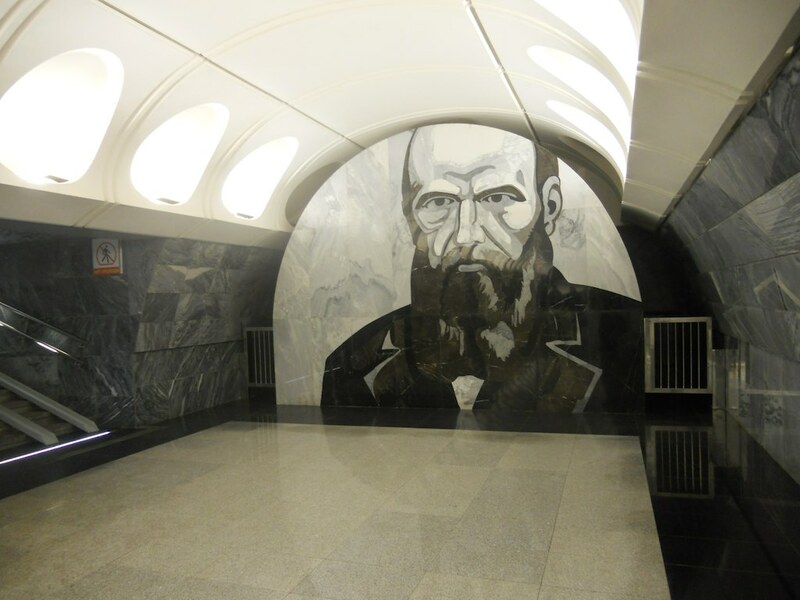 In fact, the entire underground part of the station, designed by Ivan Nikolayev, is a brilliant monument to the world of Fyodor Dostoevsky’s novels. What I particularly love is the way, for instance, that Nikolayev even gave a nod to Nikolai Gogol, the most important early influence on Dostoevsky. 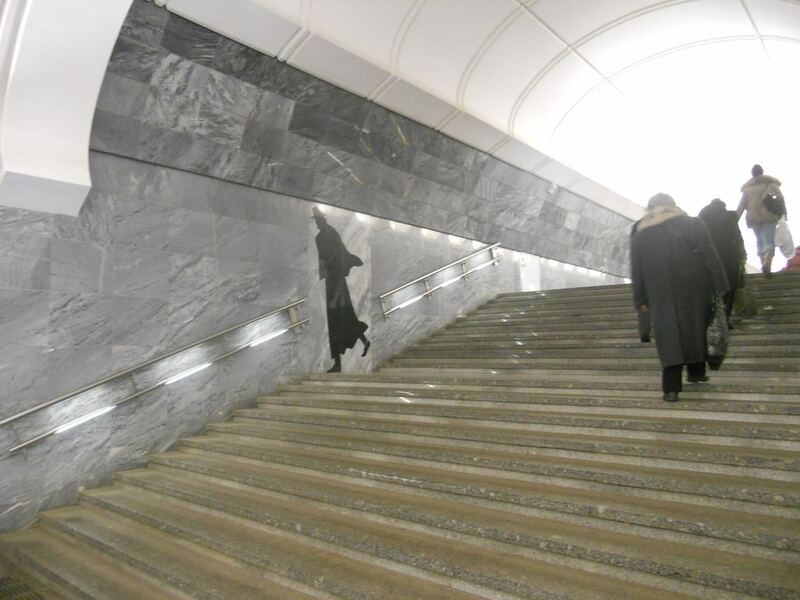 A Gogol-like figure depicted on the wall of the stairwell appears to be hurrying down to catch a train as actual riders pass him by. It’s a lovely touch, smart and witty. I also love the black, white and gray color scheme that suits Dostoevsky’s art so well. 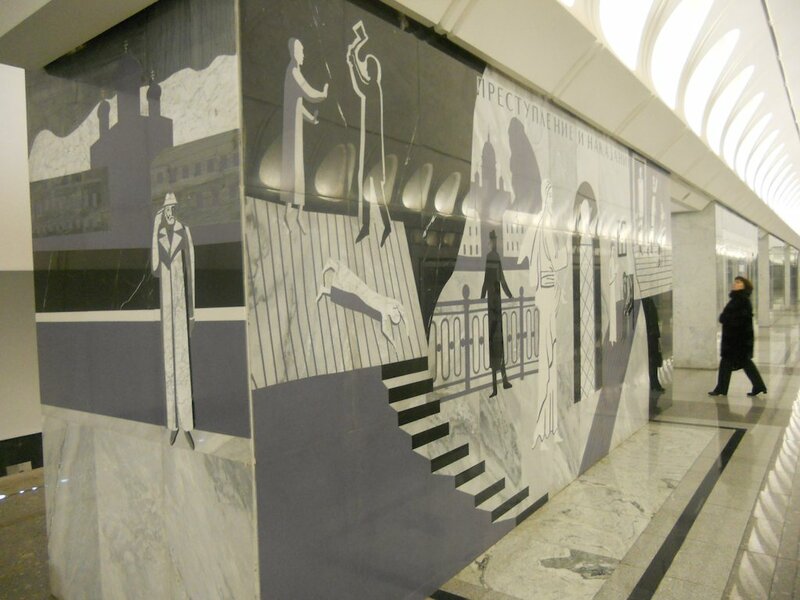 Down on the actual platforms, mosaics on wide columns illustrate various scenes from Dostoevsky’s greatest novels. I happened to click my camera at two columns depicting the characters and events of Crime and Punishment, maybe because that was the first Dostoevsky novel I ever read way back when in another lifetime. For the record, I read Crime and Punishment on the heels of having read Leo Tolstoy’s War and Peace and Anna Karenina and I didn’t notice the slightest drop in quality. This was in high school. The 1970s had just gotten underway. 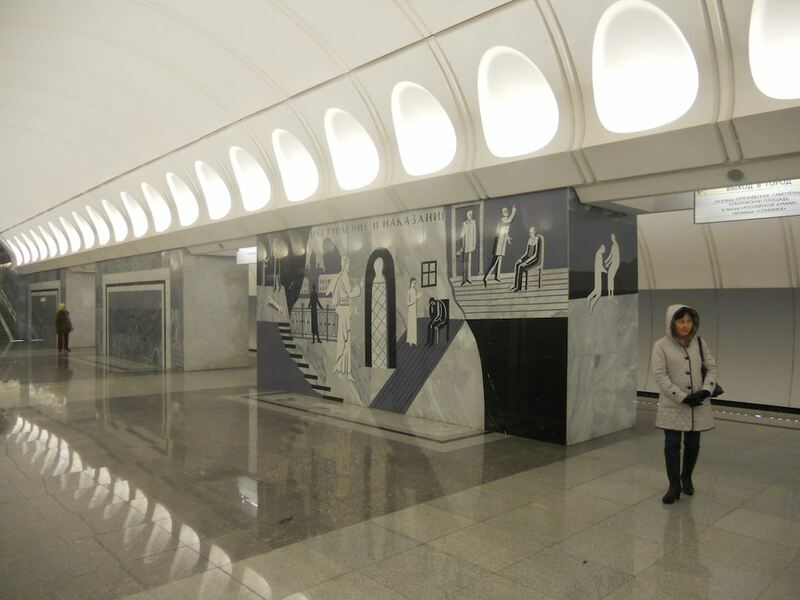 That little bit aside, I should mention that I wrote about this wonderful metro station in a Moscow Times blog several years ago. Should the spirit move you, you can read that here. 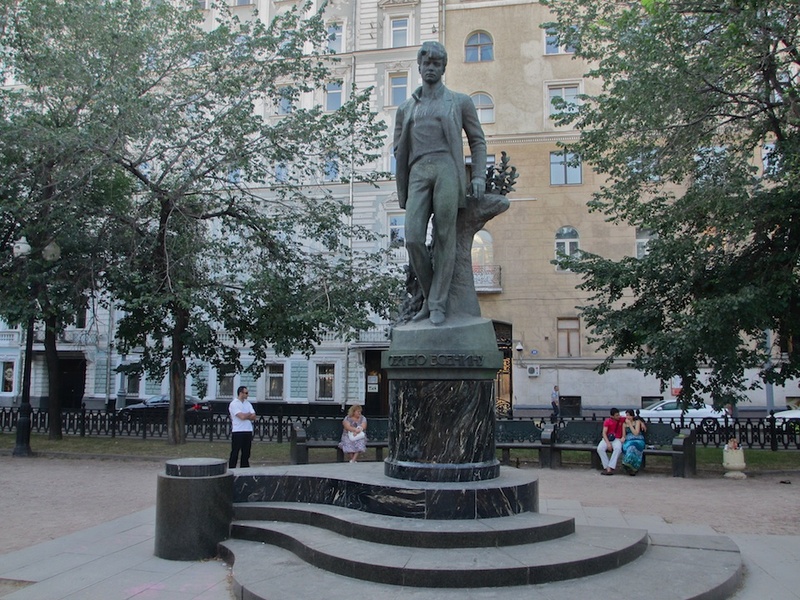 Not many think much of this monument to Yesenin. 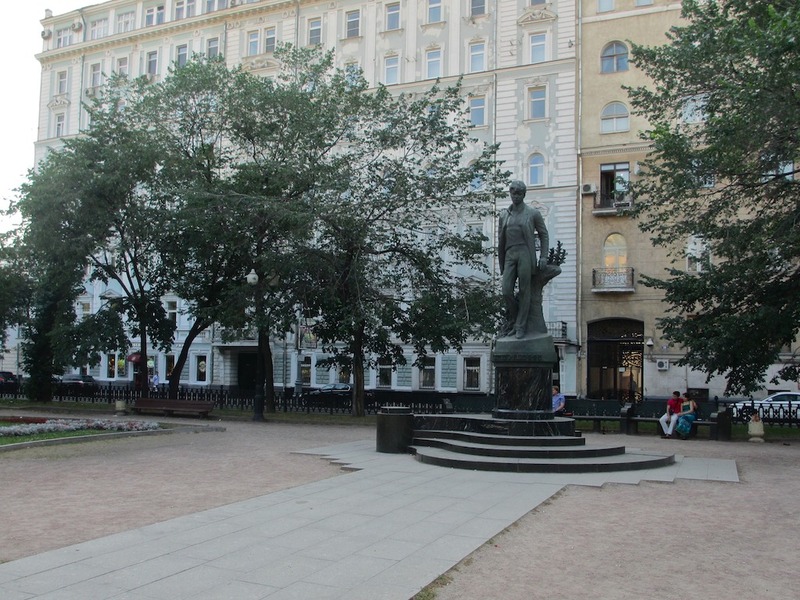 It’s located on Tverskoi Boulevard more or less between the Yermolova Apartment museum on the north side of the boulevard and the Gorky Moscow Art Theater on the south side. I rather think of the statue as a too-sweet drink. I love sweets, so that’s not entirely bad. 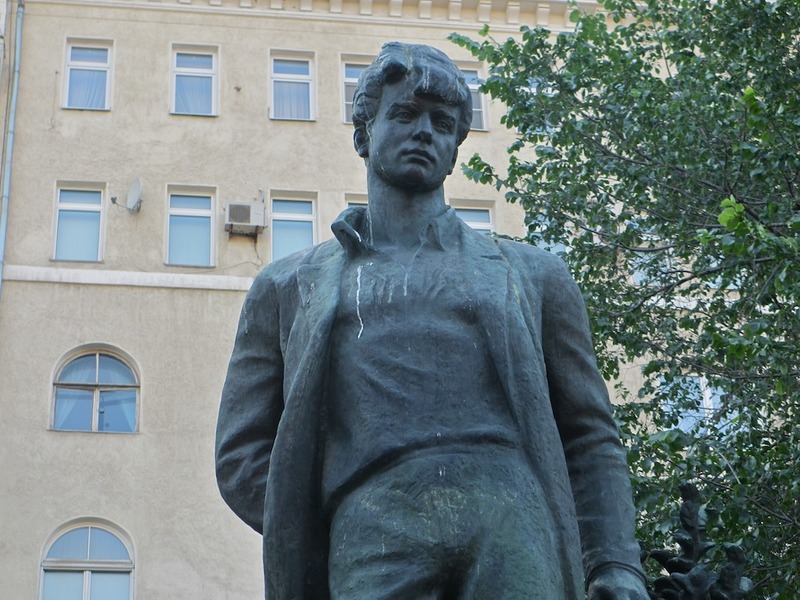 But, as has been said elsewhere by another fine poet, “too much of nothing can make a man ill at ease.” As far as we can tell from old photos the statue looks very much like Yesenin. That’s something, I guess. It’s possible we can see in it the pretty face that made Isadora Duncan lose her mind for the young poet. But it’s no coincidence that when I went walking around the statue I couldn’t find any angles that gave me any new information. Every shot I took looked the same, just some were closer up, others were farther away. Yesenin was actually an interesting person and an interesting poet. He was considered something of a “hooligan” and when he, according to the official version at the time, committed suicide at the age of 30 in 1925, there was a scandalous wave of copy-cat suicides. It was only after Perestroika and the fall of the Soviet Union that theories arose that Yesenin was actually murdered by the secret police on Dec. 28 in his room in the Angleterre Hotel in Leningrad. I like the drip of pigeon waste running down Yesenin’s right breast in the close up here. Oddly enough, there’s something humanizing about it. 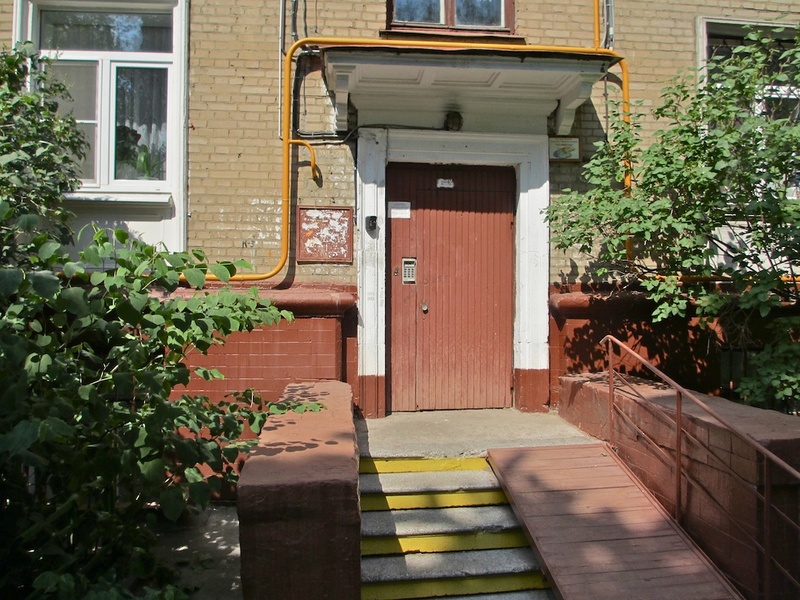 Yury Trifonov, the author of “House on the Embankment” and many other of the finest prose works of the late Soviet period once lived in this building on what is now called Second Peschannaya Ulitsa. 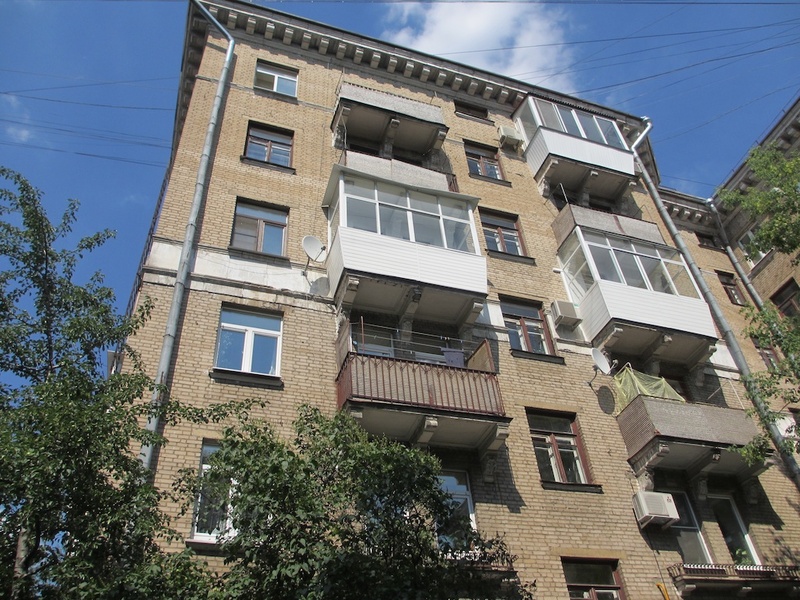 It is a clean, neat building located across from a large and attractive park well north of Moscow city center, on the west side of Leningradsky Prospekt. For a time the street bore the name of Romanian politician Gheorghe Gheorghiu-Dej and that is who the street was named after when Yury Trifonov lived here in the 1970s. I wrote about this and a few other locations connected with writers in Moscow in my Theater Plus blog space on the site of The Moscow Times.